Brian Hughes serves Kokomo First Assembly as the Lead Pastor. He began his pastoral ministry in 1986 and has also traveled throughout the United States as an evangelist and guest speaker. 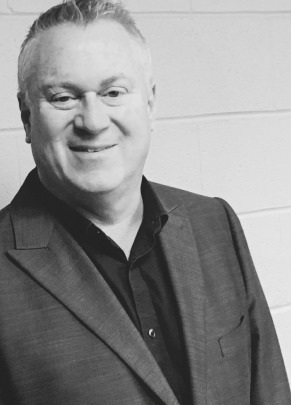 He has led churches in Texas and Tennessee and has served his denomination as a Sectional Presbyter and Executive Presbyter. Brian’s pastoral leadership has helped guide congregations into growth through outreach and discipleship. His love for people and his passion for winning individuals to Christ is the major thrust of his ministry. Brian has a heart for Kokomo and believes God has placed him in the city to help influence KFA and the entire community toward a spiritual awakening. He understands the importance of connecting with pastors and believers from various churches, denominations, cultural backgrounds and ethnicities to strengthen the Body of Christ in our city. Brian and his wife, Darla, were married in 1986 and have two children and one adorable grandson. Their daughter, Brianna, serves on the Creative Team at Fellowship Church in Dallas, Texas, where her husband, Eric Thiede is a Worship Pastor. Their son, Brad, along with his wife, Landra, serve together as campus pastors at Fellowship Church in Dallas, Texas. Romans 1:16 "For I am not ashamed of the gospel of Christ, for it is the power of God to salvation for everyone who believes"